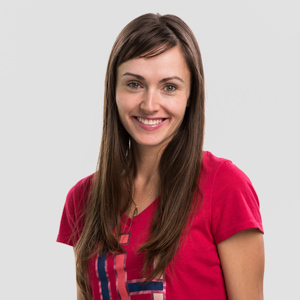 Irena joined the ICCLab in February 2015 as a researcher. She is working on the Software Defined Networking initiative with a particular focus on architectures and use-case solutions for cloud-based datacenters. As a visiting student at the lab in 2013 Irena was working on SDN QoS applications inside the FI-PPP project KIARA. Currently she is involved in the EU projects T-Nova, Sesame and FIWARE as part of the FI-PPP program developing SDN tools and libraries that facilitate the creation of value-added networking applications such as: optimized tenant isolation in datacenter networks, resilience (on-demand configuration of physical OpenFlow switches), Service Function Chaining, etc. Irena received her bachelor’s degree in Computer Engineering, Informatics and Automatic Control at the Faculty of Electrical Engineering and Information Technologies in­ Skopje, Macedonia. She did her Master Thesis in Networks Engineering and Telematic Services at the ETSI de Telecomunicación faculty at the Universidad Politécnica de Madrid where she is currently enrolled in a PhD research program. Her PhD research involves evaluation of architectures and protocols for multimedia streaming based on hybrid — cloud computing and P2P solutions; economic aspect and incentives of P2P-cloud streaming services and QoS adaptive streaming solutions using software defined networking. This entry was posted in *. * by irenatr. Bookmark the permalink.